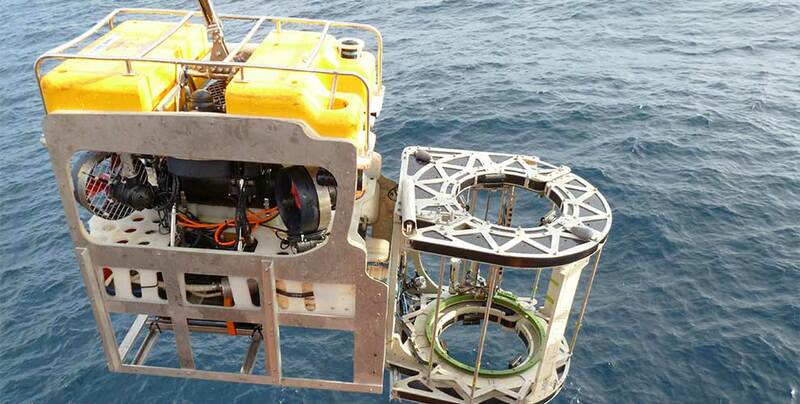 Our exclusive partnership with Oceaneering produced an ‘industry first’ – a robust alternative to detect the condition of a seawater flooded annulus and its impact on the integrity of its infrastructure. We developed FlexScan® and Neptune, our inspection tool, to allow integrity engineers to quantify metallic armour layer characteristics. 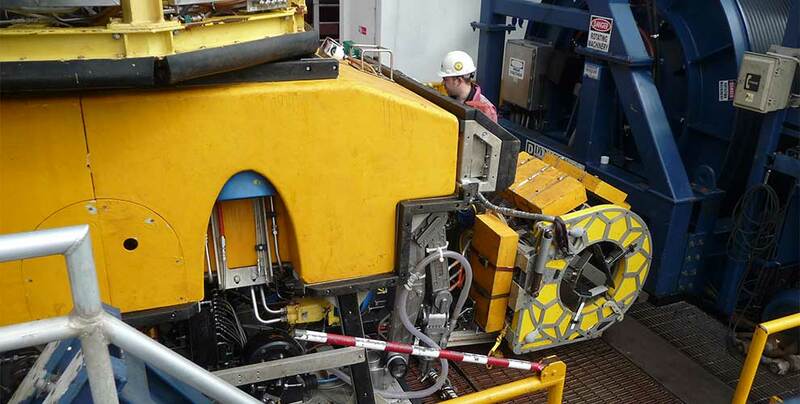 Today, it’s an established subsea tool and has been used in more than 220 inspection programmes around the world. Based on the principle that a seawater flooded annulus is a non-design condition, we worked with our partners at Oceaneering to identify a robust and high-technology alternative for detecting that condition and its impact on infrastructure integrity. The answer lay in combining our patented UT scanning technology with Oceaneering’s advanced inspection tool Neptune: an innovation that has taken flexible pipe inspection to a new level. The integrity data derived from FlexScan® has proved invaluable in allowing Integrity Engineers to be able to quantify metallic armour layer characteristics thus allowing conservatism to be quantified. We were requested to use our patented ultrasonic scanning technology on flexible gas flowlines, to determine the presence of moisture in the insulation layer, in order to ascertain that they would be suitable for a change of service from gas to oil. The presence of water could potentially cause degradation of tapes in the pipe and affects its structural capacity. Our ultrasonic technology confirmed the presence of moisture in the insulation layer and our client was able to make an informed, technical and commercial decision regarding the future use of the pipes and field development. Our client had a, 12” production, free hanging, catenary riser, which was nearing the end of its design life. The riser had a breach within the splash zone and concerns existed over its remnant life. We were requested to assess the remnant service life of the tensile and pressure armour wires by performing global dynamic analysisand liaising with the pipe manufacture to assess fatigue. Data derived from the UT scanning of the riser provided an invaluable means of quantifying the conservatism regarding the degradation of the armour wires, even given the riser’s breached annulus. The analysis concluded that the riser had a remaining fatigue life of 120 years – more than the production life of the field. Our client continued to operate the riser, retaining Flexlife as its IMR contractor. Our client wanted to ascertain information on the integrity of their risers in the UKCS. These risers were hung below a riser balcony and were relatively inaccessible. Due to the age of the risers, the vent ports had become blocked, meaning conventional topside integrity assessments would not be possible. 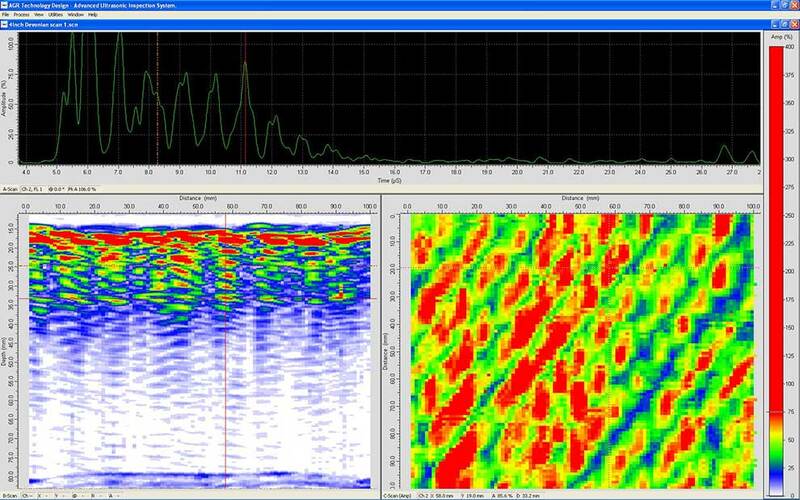 Flexlife was awarded a contract to provide ultrasonic scanning of the risers on a regular basis. Data gathered from our scanning operations enabled our client to adequately document the integrity of the outer sheaths and wire thickness measurements. This information was trended to formulate an overall integrity assessment on the risers. This concluded that the risers, close to the end of their lifecycle, could continue in operation, thereby permitting a phased approach to replacement without any lost production time.